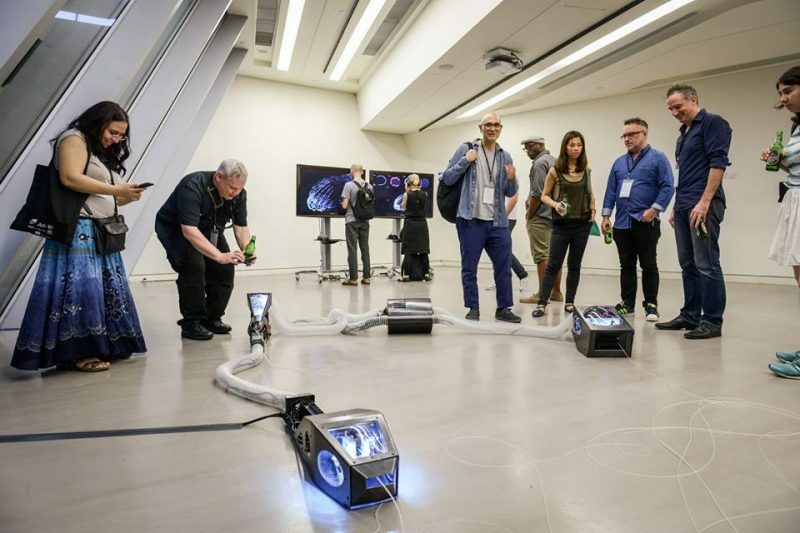 Dedicated to fostering transdisciplinary discourse and scholarly exchange at the nexus of science and art, the International Symposium of Electronic Art (ISEA) has been bringing together scientists, scholars and artists from across the globe for over two decades. 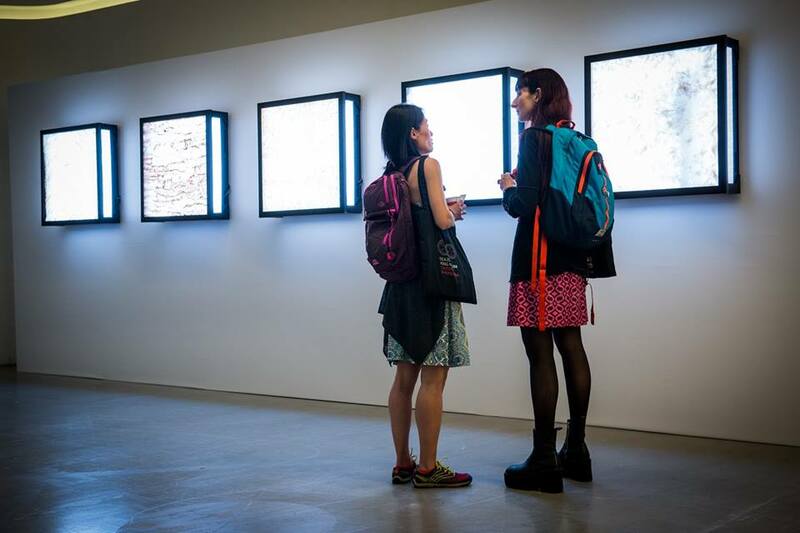 This May, the nomadic media arts event took place in Hong Kong. There’s always a whisper of the future about media arts, a rumor that’s now applied to China too. The pairing was apt. The curatorial theme: “Cultural R>evolution” made edgy reference to the 50th anniversary of Mao’s political upheaval, a milestone cautiously marked in the mainland. Although Hong Kong emphasises its distance from official Chinese ideologies, it’s nonetheless tricky to discern the scope for activity beneath a “Cultural Revolution” banner, what with the stifled 2014 Umbrella Movement and the recent case of the disappearing booksellers. 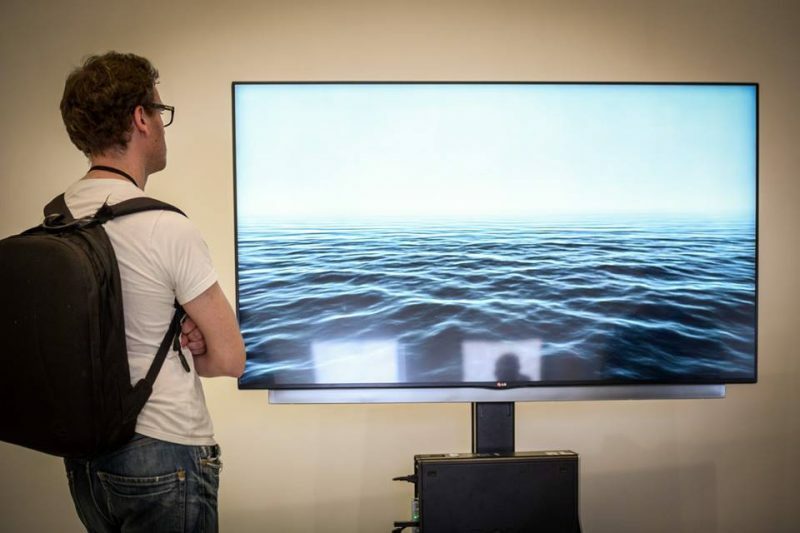 ISEA’s website encouraged broader interpretations, informing us that electronic media “exemplifies the dual meaning of revolution: to always create new while returning to the old”. Possibilities abound. ISEA’s seven-day schedule was merrily sprinkled across the former British colony. Alongside other attendees, I spent a frantic week performing laps of the city to visit exhibitions, workshops, keynotes, conference presentations and other public programs. There were so many impressive works, talks and performances on offer, but with multiple overlapping events - including seven conference streams - it was physically impossible to take everything in, and the theme Cultural Revolution found another meaning in the inevitable spin cycle of attempting to do so. The juried exhibition was case in point. Housed across three notable locations: the Creative Media Centre at the City University of Hong Kong, The Innovation Tower at the Polytechnic University, and a 108 story high screen on the facade of Hong Kong’s tallest building: the International Commerce Centre tower, there were countless works to sift through. No justice can be done to them all here, but what follows is a humble collection of some personal highlights. Directly tackling the political, Eric Sui’s intimate Unuseless Machine for Democracy draws inspiration from the 2014 Umbrella Movement. Sui has adapted a series of ‘useless machine’ mechanisms inspired by those of Marvin Minsk, in which the device’s sole function is to switch itself off. Thirty-five of these contraptions are paired together with electric candles to form the numerals 924, the date of the HK protests. Intermittently, a candle goes out and a small dove appears to peck and reignite it. The work is a moving shrine for Hong Kong’s democratic aspirations. Gail Priest takes a more spatial approach to revolution. Her installation Sounding the Future is experienced from a revolving chair and the participant clicks through a projected html interface encircling the floor at their feet. For the artist, the work attempts to motivate speculation about what the future might “sound like” and how this may manifest as art. 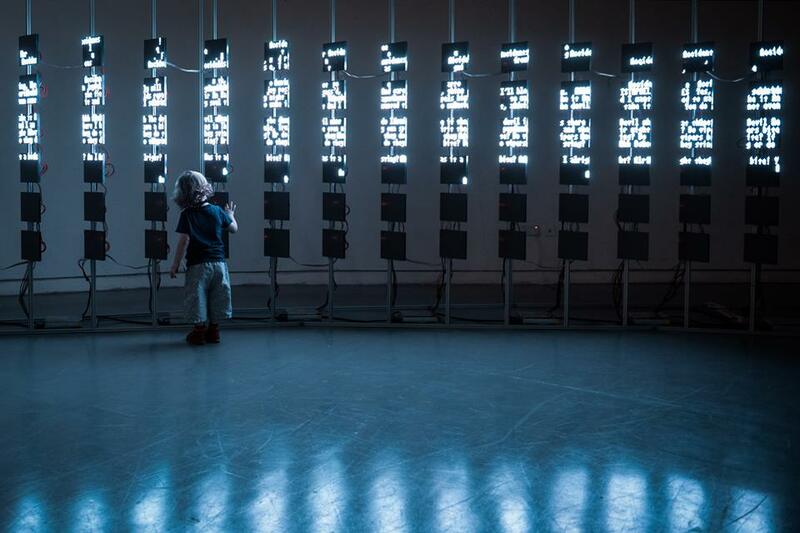 While unsure how much of the future I saw or heard, the work’s simple repositioning of the user and interface brought unexpected scope for a new range of deliberations and interactions. Circling though the gallery spaces, I was overwhelmed by the many screen-based works on offer. 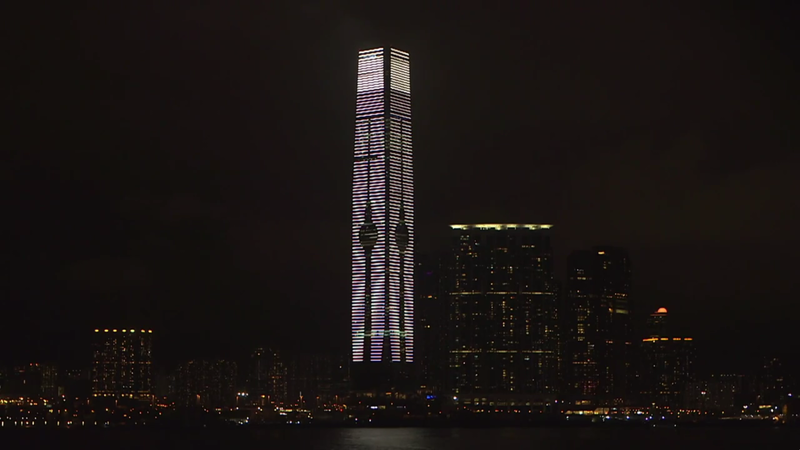 Even Hong Kong’s tallest building had been transformed into one. Some screens invited participation, others provoked contemplation, some looked back at you – some did all three. I love screen content – but with these visual surfaces already so pervasive in my everyday life - my curiosity was more compelled toward the sculptural objects and installations that shared the physical space around me. One such example is Daniel Miller’s Ouroboros – a floor dwelling robot that consumes itself. Appropriating technologies common to rapid-prototyping labs - Ardunio controllers, filament extruders and CNC cut prototype mechanisms - Miller has connected a series of micro-manufacturing machines into a cannibalistic circuit that ingests plastic, chops it into small sections, melts them down, then re-extrudes them as a plastic tail only to be swallowed by the same robot in a perpetual loop. This mechanical self- devouring snake is both hilarious and revolting in its collapsing together of micro-production labs, notions of recycling, and a hint of the Human Centipede. Also occupying corporeal space were the performance works that preceded each of the evening keynotes. These seated events provided a welcome moment to recharge and let the collected ideas digest in the mind. During one such intermission, watching a compelling recital of Foxconn Frequency, I began contemplating the limits of media itself. I recalled media archeologist Jussi Parikka reflecting on how European scientific discovery had implicitly perceived the entire planet as media; a giant recording device on to which evolutionary and geological data had been inscribed. It occurred to me that through mining to produce more technology products, we inscribe the planet further. The earth is simultaneously recording and playing itself. As the symposium drew to an end, the Cultural Revolution called for seemed critically connected to our use of planetary resources. These concerns dominated two of the keynotes. Natalie Jeremijenko presented a series of art/science experiments that aimed to inspire social change toward ecological sustainability, while Benjamin Bratton unpicked the ‘accidental superstructure’ of global computational logic. Computer storage, he reminded us, has overtaken the airline industry in its carbon emissions. With ISEA participants jetting in from across the planet to present technology driven work now archived in servers globally - this remonstration hit a target. As the world of media arts wrestles with its impact on the planet, the 2017 theme: Bio-creation and Peace - hosted in Manizales, Colombia – opens up new paths for discussion. Colombia, along with South Africa who will host in 2018, gave rousing glimpses of what to expect over an ISEA lunchtime general meeting, in which bids to host the 2019 event were also made. Following a spirited presentation by Gwangju /South Korea, a composed pitch by Florence/Italy cited 2019 as the 500-year anniversary of the illustrious ancestor of arts/technology, Leonardo DaVinci, an invocation that impacted the room like a dropped mic. Although decisions are yet to be made, it’s interesting to map the trajectory of ISEA events and how they appear to trace both the innovation centers and the supply chains of media arts technologies. With Hong Kong representing both of these, 2016 provided a rich celebration and stirring critique of the politics of progress though technology and art.